Description No wonder everyone loves panda, won't you? Here a lovely cutie panda is of total mess. Give a refreshing bath and pamper it to the comforts. 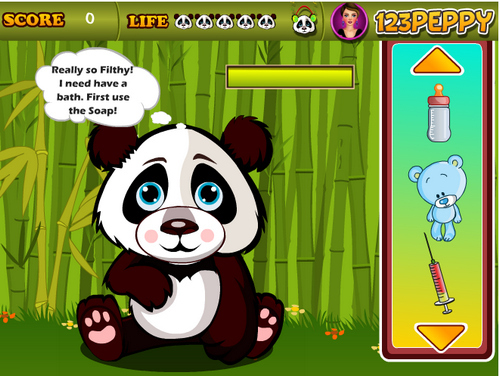 Pick the perfect outfit to make him as cutest panda ever in the Bamboo Forest! Use mouse to interact. Dress up, Fun, Girl game.